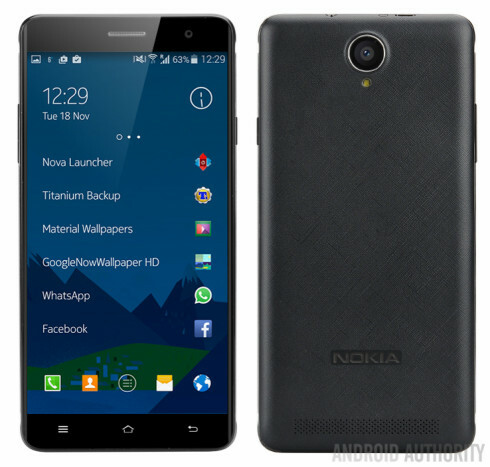 This model is called the Nokia A1 and apparently it will ship this summer, which is pretty much impossible. That’s because Nokia’s obligations towards Microsoft are still going on and they’ll only expire in Q4. Anyway, this handset has capacitive front buttons and a 2.5D screen panel, from what I can see. The back looks like it’s made of polycarbonate, which it probably is. Android Marshmallow is here, plus a 5.5 inch Full HD screen and a Qualcomm Snapdragon 652 processor. This feels very much like a LG Nexus 5X rival above all. The giveaway for the April’s Fools thing is the use of Samsung TouchWiz icons at the bottom of the UI. Expect to see more realistic leaks like this one in early 2017.